– Create a life that REALLY makes your heart sing. Live your life shining from your heart as you step more fully into your power as a woman. Join a tribe of like hearted woman for a weekend of connecting, reflecting and self discovery. Let go of the busy-ness and all the roles you play as mothers, wives, employees, etc, and take this time to reconnect with the truth of who you are. We will let go, clean out and clear away what no longer serves our highest evolution allowing our innate wisdom to arise from within and illuminate our pathway. Through the practices of yoga, conscious connected breathing, meditation, movement, connection with yourself, others and nature we will explore, expand and awaken together. This retreat offers an opening to be be more fully in your center, listen to your heart’s truth and gain personal strength as you take time out to reconnect and refocus your priorities. If you are at a crossroad in life, experiencing turmoil in relationships, uncertainty in yourself, mixed emotions this retreat can help you gain deep clarity and clearer direction. If you simply want to create space for some “you” time this weekend is an opportunity to let go of the busy-ness and come home to your heart. This retreat is suitable for yoga students beginner to advanced and for women of all ages. These retreats fill up quickly so book your spot now! Sorry online booking is not available at this time. Canapes on arrival on Friday night, Breakfasts on both Saturday and Sunday, 3 course dinner on Saturday night cafe , Sunday lunch. Bookings close on November 10th 2015. Joanne’s passion lies in using the power of the breath and movement as a tool for healing and empowering your life. Joanne is a certified professional breathworker with over 13 years studying and assisting in a wide variety of personal transformational trainings across the globe. 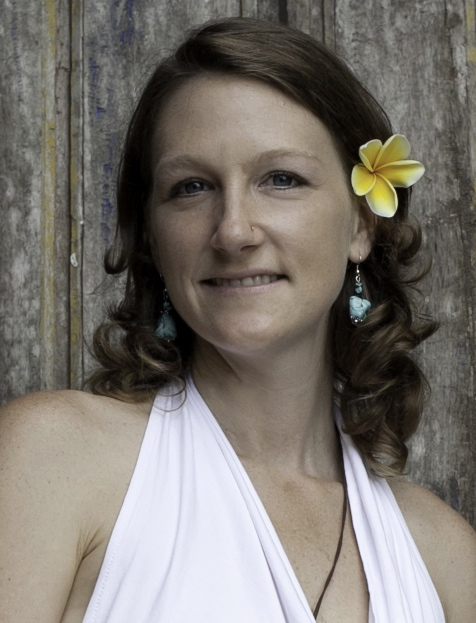 She has been practicing breathwork since 2006 and has studied with a multitude of highly qualified teachers. Joanne creates a supportive, safe and nurturing space to tune into your heart , release the struggle from your life’s challenges and create more harmony & balance in yourself. She believes breathwork is one of the most powerfully transformational tools on the planet and that you can create profound clarity and positive shifts in your life and relationships. Joanne loves breathwork as it helps her to experience more freedom in herself, to see life more clearly from the heart perspective and is excited to share this magic with the you.